Happy Easter! 2 Weeks Later Than Everyone Else! 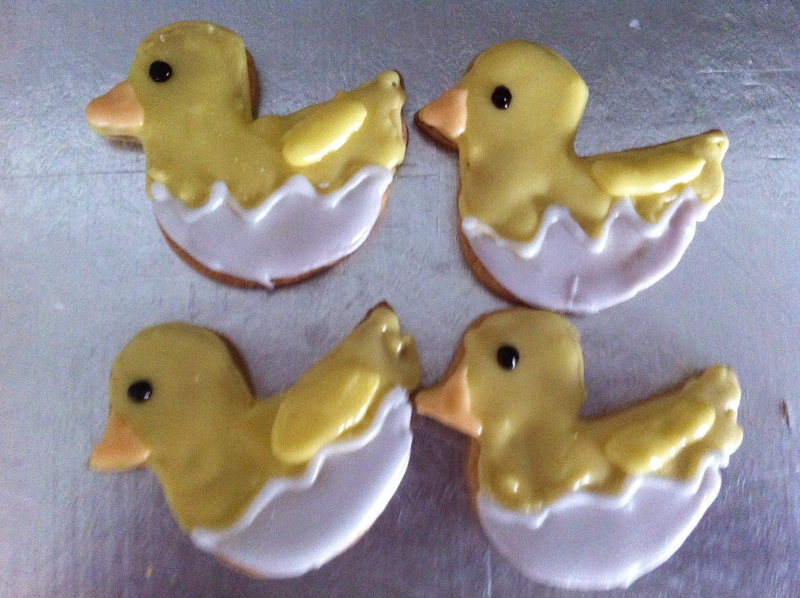 Easter Chick Cookies newly hatched from their eggs! Don’t worry, I haven’t been on another planet for two weeks or been in prison or anything. I did know it was Easter more than two weeks ago just that me being me, haven’t been able to get onto the computer to update my blog as often as I would like to. So, although I’ve been on Facebook and Twitter, I have been a bit lax with sorting out my blog. Anyway, enough of that! Those of you who work around school term time may have already been back at school a week or like me have just returned back after the holidays. I sent my two teenage children off on the school bus this morning which was a rude awakening for them. All those lie ins and late breakfasts will take their toll today. They are now on a new school bus as their original route has merged with another one. This means another 15 minutes travelling time for them each way, a lot less time for my daughter to be faffing with her hair on a morning! After that, I got myself off for work but it wasn’t too bad as I only work on a morning on a Monday. A nice gentle ease back in to work, so this is why I am finally getting organised! 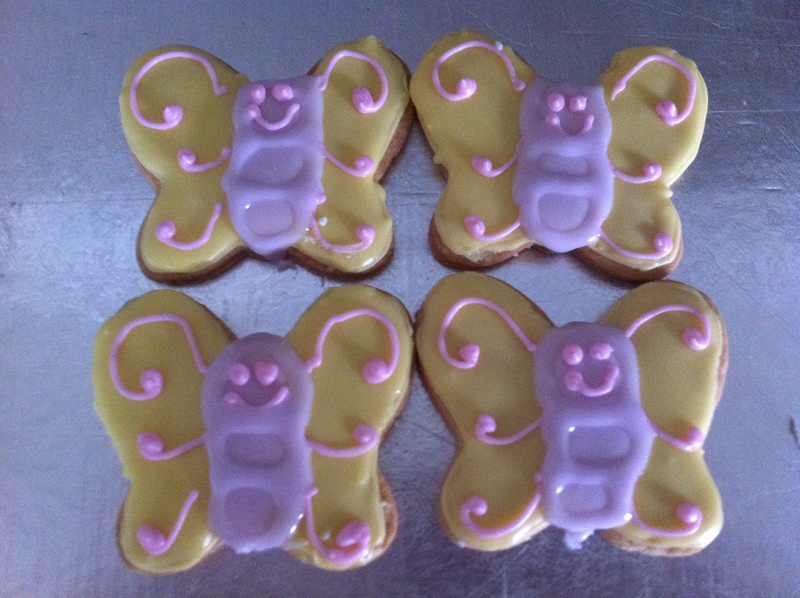 Pastel yellow and lilac butterfly vanilla shortbread cookies. 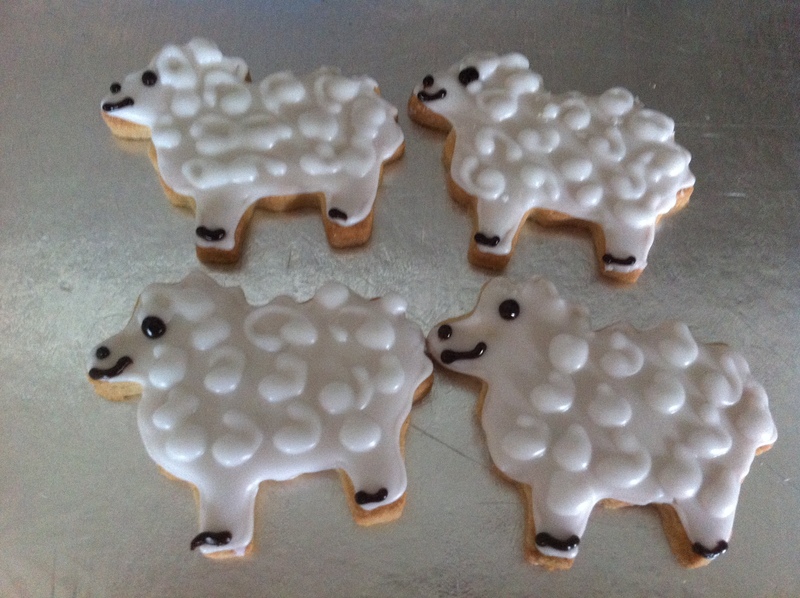 Couldn’t resist making these cute woolly sheep out of vanilla shortbread. 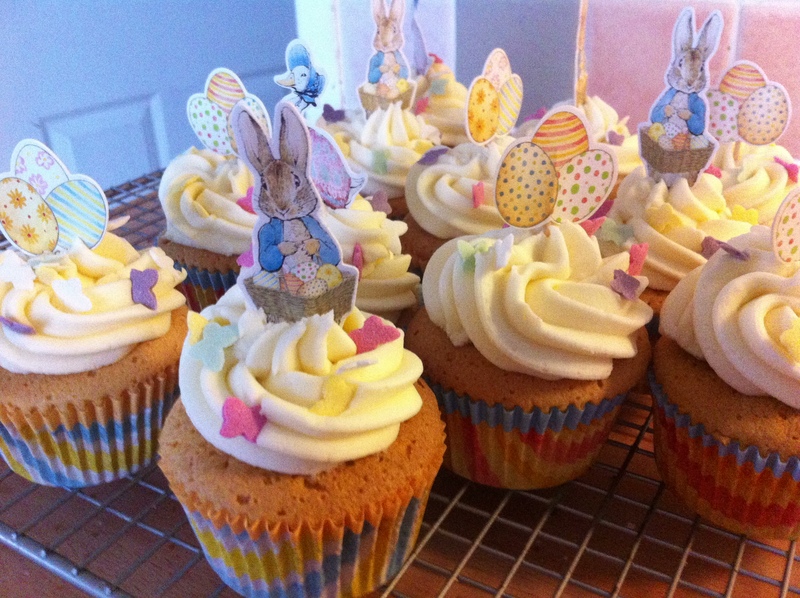 It was busy in Sam’s Smart Cookie Land over the Easter holidays so I am sharing a few of the Easter themed bakes I made with you as follows! 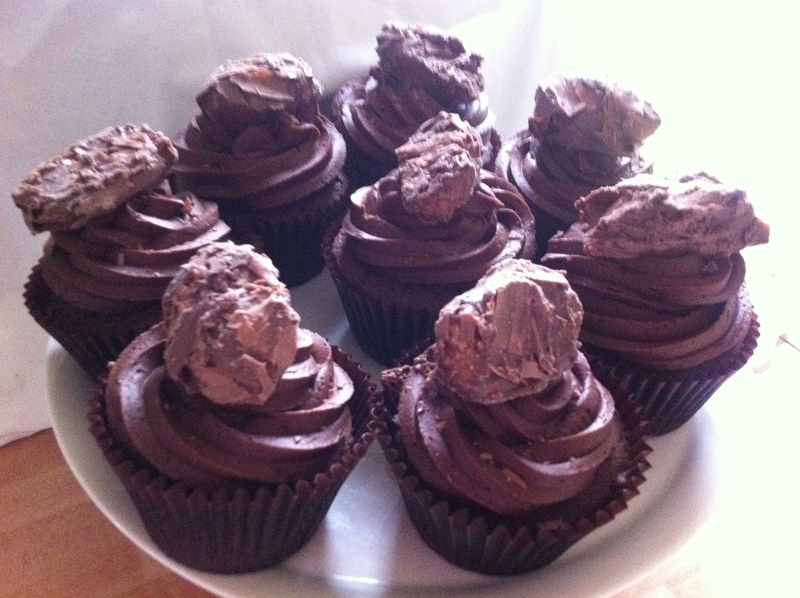 Chocolate Cupcakes with Mini Chocolate Flake Truffles with my special chocolate frosting on top. 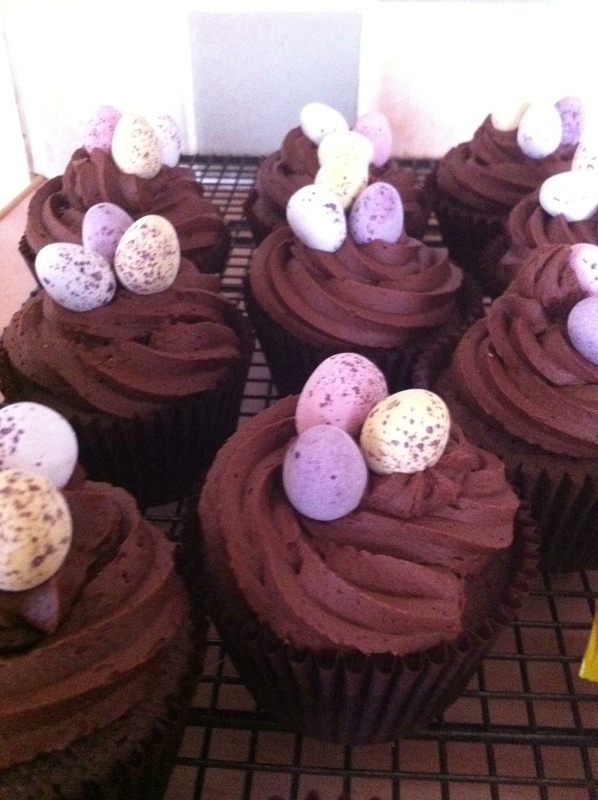 Chocolate cupcakes with my chocolate frosting and finished off with Cadbury’s Mini Eggs. Vanilla cupcakes with vanilla buttercream frosting and finished with sugar butterfly sprinkles. 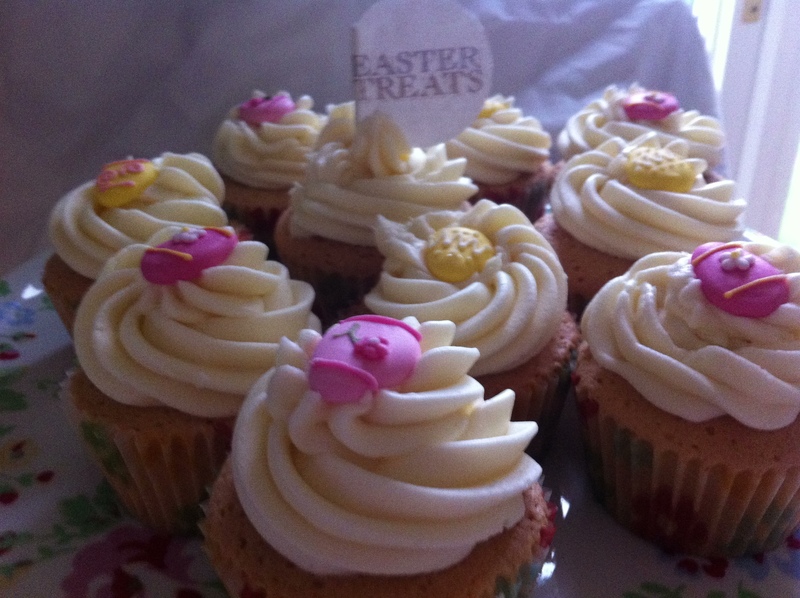 Finished with Beatrix Potter cupcake picks from Lakeland Limited. More vanilla cupcakes topped with buttercream icing. This time I added a readymade sugar Easter egg shape from Culpitt. 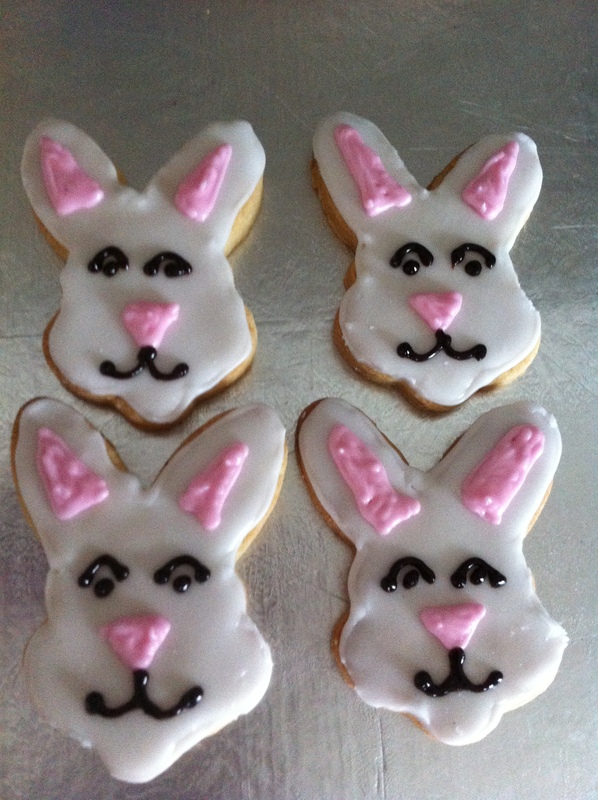 Vanilla shortbread cookie rabbit faces iced with piped royal icing. 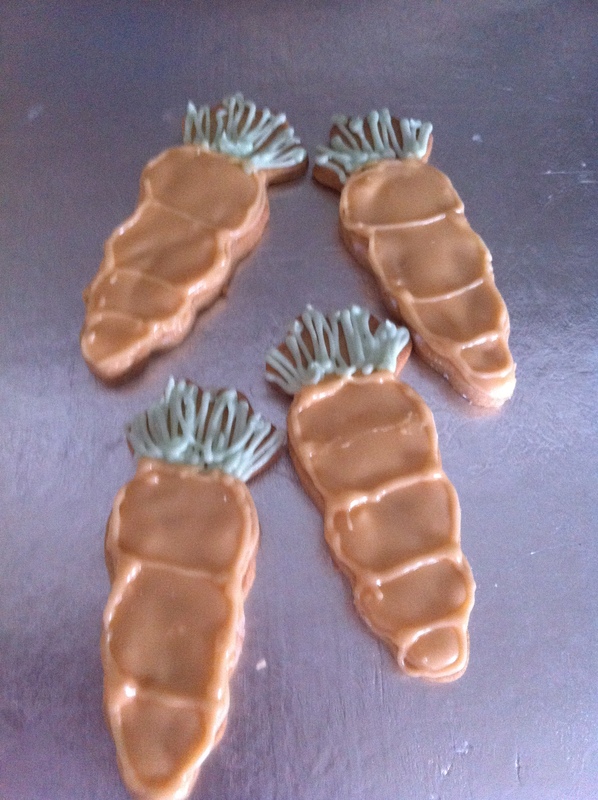 Not very impressed with these carrots as the colour was a bit too pale but the Easter Bunny has to have something! Pretty Spring flowers, I know they’ve been a bit late in coming this year but these cheered a few people up. 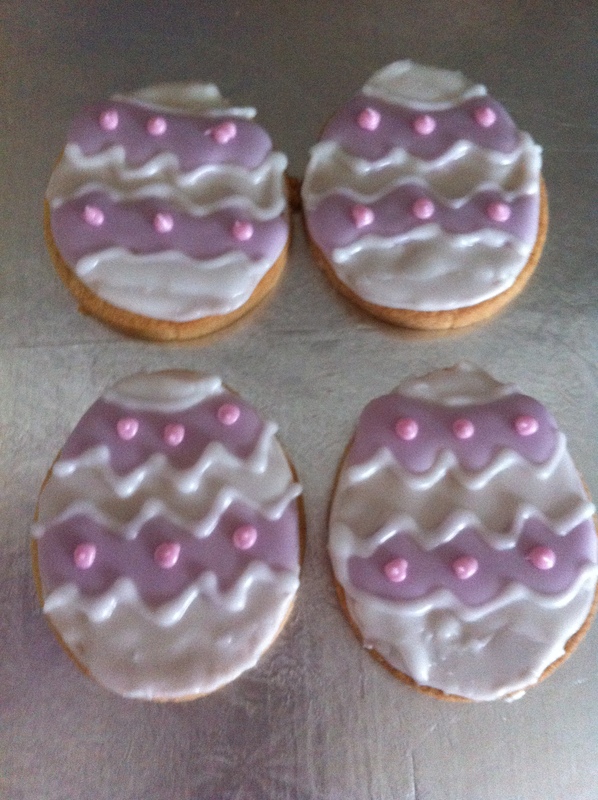 Pastel lilac, pink and white Easter egg cookies made out of shortbread dough and piped with royal icing. Hope you all had a lovely Easter, wherever in the world you may be or whatever you were doing. 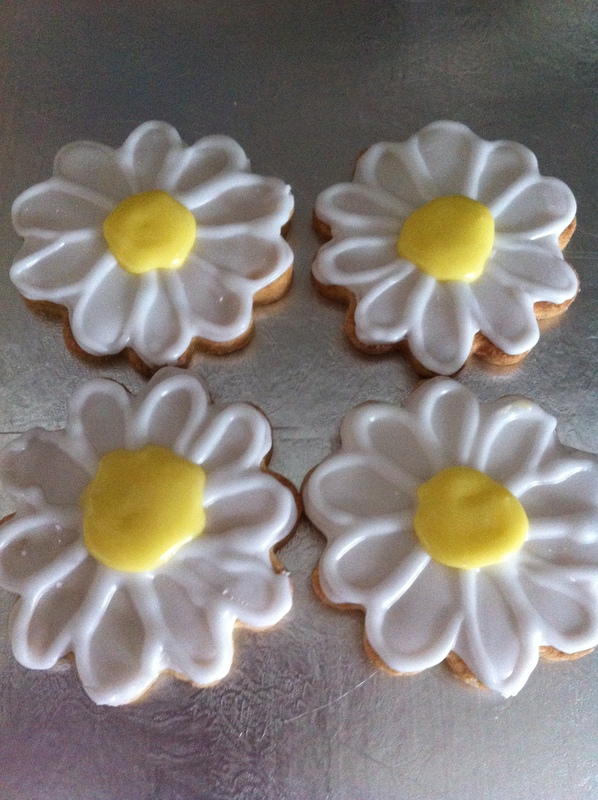 Previous Post Spring Baking from The Clandestine Cake Club Cookbook. Next Post Paul Hollywood’s Hot Cross Buns.